Regev intends to work to cancel song contest in Israel if it's not hosted in J'lem, as Europeans demand 'at least two' possible host cities. Amid disappointment over the cancellation of the friendly match between the Argentinian and Israeli national soccer teams, Israeli organizers of the Eurovision Song Contest, set to take place next year in Israel, expressed apprehension that this event, too, would not ultimately be held in Israel. The sources noted that, during a recent meeting between European and Israeli broadcasting officials related to planning of the event, the Europeans demanded that at least two cities be proposed as possible locations to hold the song contest, as they sought a “non-divisive place” to host the event, in an apparent hit at Jerusalem. “Our goal is that countries will not boycott the location of the event,” the European officials reportedly said. So far, no other Israeli cities have submitted candidacy to host the event. 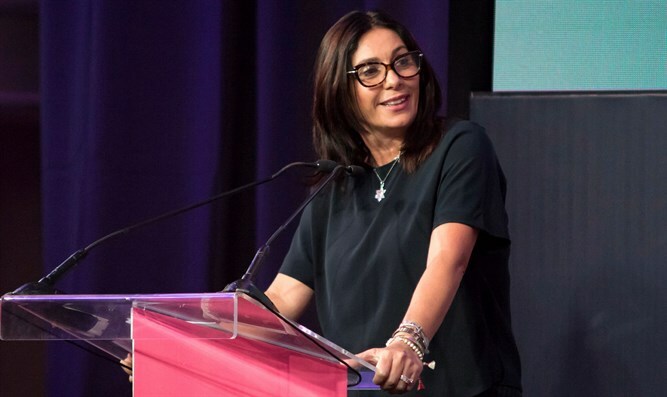 Culture Minister Miri Regev threatened that if the Eurovision contest is not held in Jerusalem, she will work to ensure that it is not held in Israel altogether. “If they try to move the hosting of Eurovision from Jerusalem, I will ask the Prime Minister not to invest 50 million shekels, and to give up on hosting Eurovision in Israel,” she told Yediot Aharonot.